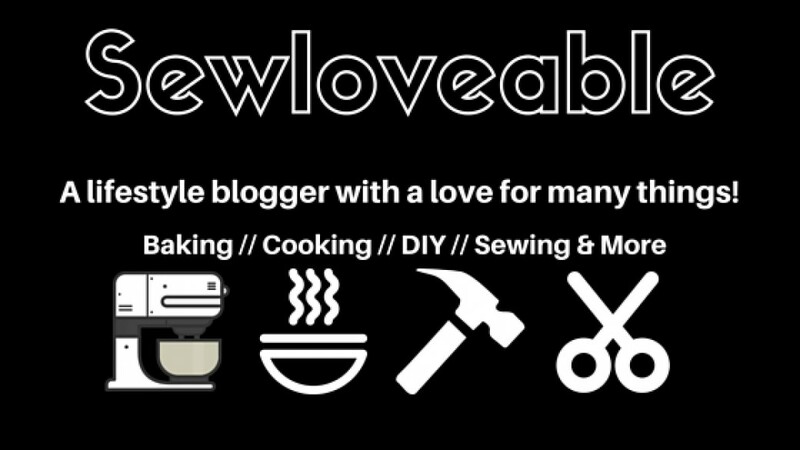 A few months ago I got a few emails from a few lovely reader’s who asked if I could share a really quick and easy sewing project. So one day while perusing around on Pinterest. 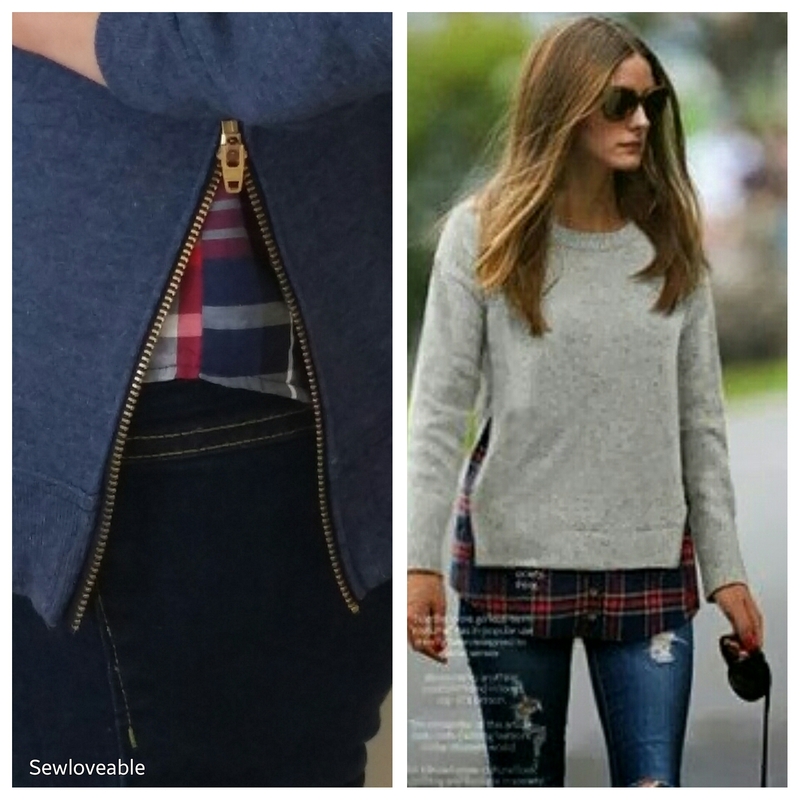 I saw this cute and casual look that Olivia Palermo was wearing and thought my oldest would love a look and this is just the type of DIY my reader’s were emailing me about. I hope you enjoy this really quick and easy DIY Project. For this project, I used the following item’s……. This is a project that can be done by hand if you don’t have a sewing machine. 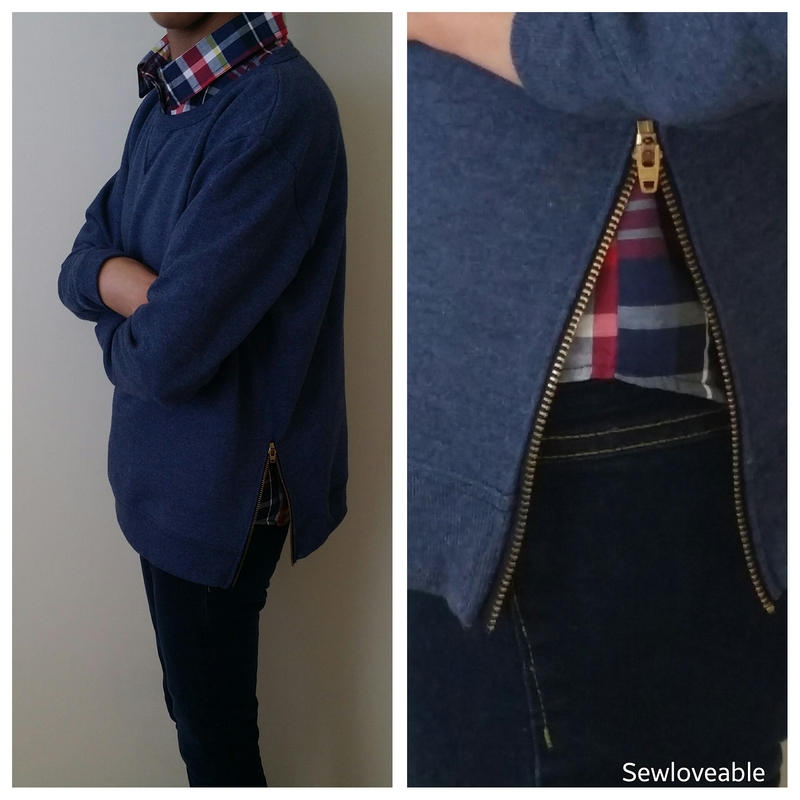 At the side seams of your shirt, you are going to place your zipper as pictured below. Cut your shirt a 1/2″ shorter than your zipper. Install your zipper. Now pair a plaid button down underneath. My daughter opted for a blue/grey sweatshirt so that she can wear it with various plaid shirts underneath which will give her more versatility.